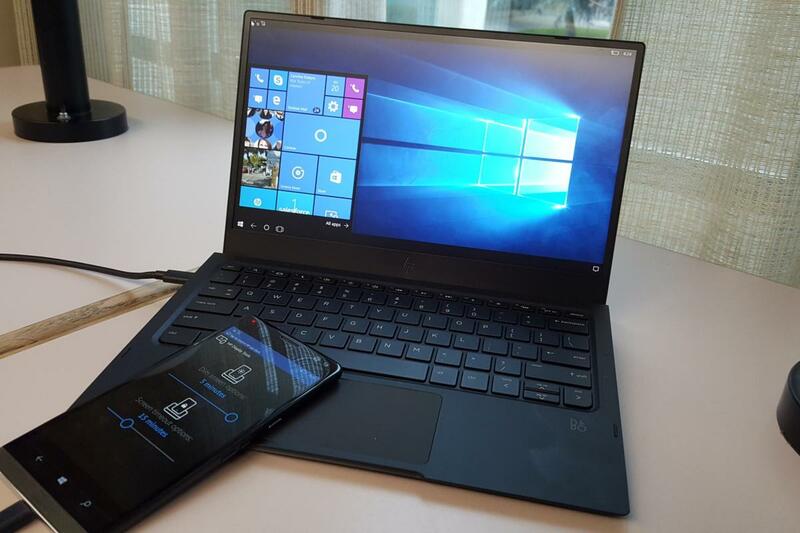 The Lap Dock is the other piece of the productivity puzzle, a “dumb” laptop powered by the phone. Many users already plug in a second monitor to their notebook and expand their virtual desktop view across both screens. 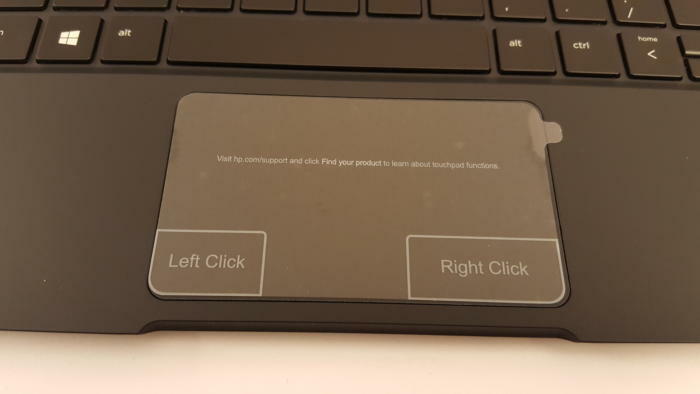 HP’s Lap Dock operates under the same principle, but this time, the Elite x3 Windows phone is the computer—the Lap Dock lacks its own CPU. It’s a credit to ultrabook designers that, when closed, you’d be hard-pressed to tell that the $500 Lap Dock is not a thin-and-light laptop. 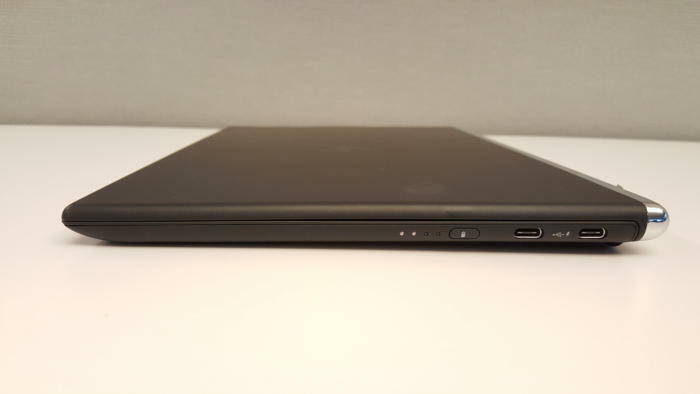 It measures 11.37 x 7.91 x 0.54 inches, it has a 12.5-inch, 1920×1080 LED-lit (non-touch) display, and it weighs 2.3 pounds—you can thank the integrated 46.5Whr battery for that heft. HP’s build quality generally carries over into using the Lap Dock as, well, a laptop, though some usability issues may raise your eyebrows. The backlit keyboard feels solid, though the keys could be a bit stiffer for my taste. But there are slight annoyances, such as the lack of a function-key lock, and the omission of on-screen brightness controls, that remind you that the phone’s in control. The only indicator of screen brightness is…the screen’s brightness, which scales up to a decent 268 nits by my measurement. You can control the volume either with the phone or the Lap Dock’s controls, and an on-screen slider visually indicates the volume level. The ability to connect the Lap Dock to the phone either wired or wirelessly also affects the battery life. HP’s battery test is similar to ours: looping a 4K video until the battery runs down. 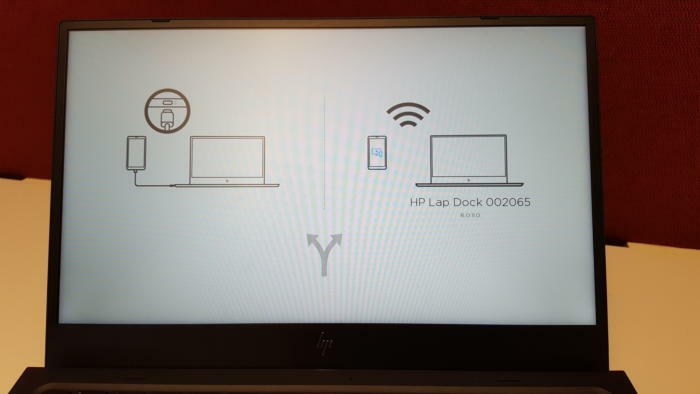 HP rates the Lap Dock’s battery life at 7 hours, 10 minutes while connected via the cable, and about 6 hours when video is streamed wirelessly. Our measured battery life was somewhat less—6 hours exactly—primarily because HP tested at 150 nits of screen brightness, and we standardize our testing at what we consider to be optimal brightness—between 250 and 260 nits.